How can I get the most out of a customer testimonial? Getting a customer testimonial can sometimes be a challenge. Hopefully, as a result of the work you have done with them, they are super busy, so they may not have the time to dedicate to providing one. But hearing how a business can help you by listening to another business that has gone through the experience is extremely powerful. In the world of TripAdvisor, AirBnB and even Uber reviews, we’re looking for validation of choices we want to make. Today, it’s natural for your potential customers to hunt out what others are saying about you before connecting with you. If you can’t provide the social proof, you could be out of the running without even knowing it. How can you get the most out of the effort that goes into obtaining a customer testimonial so you can use it on multiple channels in different ways? In this post, we’ll share some ideas. The trick to getting the most from the testimonial is to start with the format that usually takes the most effort and work backwards. Generally speaking, that’s video. 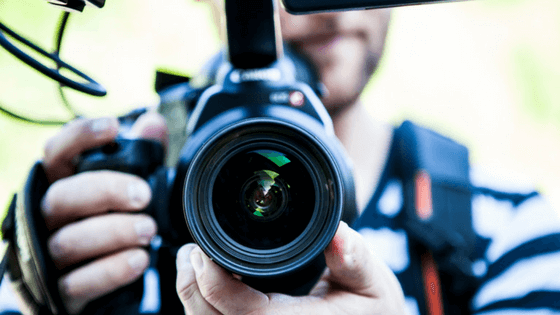 Video is generally considered the format that requires the most effort because it involves your customer being present during the recording and various setup components such as lighting, audio and the post-production. But it’s so much more believable for potential customers to see a real, live person speak about how great you are. They can see the person’s face, their eyes, hear their voice. It’s hard to cover up anyone telling porkies – it doesn’t come across well in their tone. If one of your customers is willing to tell others that you helped their business on camera, definitely try and get them to do it. Yes, you’ll need to make an edit, remove and ‘ums’ and ‘ahs’. But you can then take all of the video content and use it for these additional ways. Once your video is ready, upload it to your YouTube channel or Facebook page (remember to do this natively). The first thing you should do once your video is ready is transcribe what your customer says. If you don’t fancy doing that yourself, use a virtual assistant to do it for you. Once you have a transcription of the video, it’s not too far a step to then use the copy in a multitude of ways. Make sure there is an area on your website for potential customers to browse to a testimonial. If they are on your website, they’re probably researching what you can offer. Make it easy for them to find the proof that you’re great. How did you resolve it and/or help them? How did you improve their business directly? What should potential customers do to find out more? As you have a video, embed it in the page – that way, the website visitor has the option to read the text or consume the video. Do you have a podcast or an Anchor station? You have the video, so it’s a short leap to detach the audio and save as an audio file that can then be uploaded. Facebook now has the option to upload just audio, so consider using that as a fresh piece of content. There are bound to be a few snippets from the video that can be used as great quotes from the customer. Some really great statements that will resonate with your potential customers. Take note of them. Once you have a few quotes, use an image tool such as Canva to turn them into visuals that you can then post on social media. Images will get more attention. If you want to animate them (e.g. using things like Ripl or Adobe Spark) then even better. Now you have a web page with the case study on, you can turn that into a video summary. Lumen5 is a tool that will read the content of any web page and make a video out of it, with key phrases as text. Given video gets the most traction on social media, you’re creating a double-whammy of video content: the original case study video and the new summary. It allows you to mix up your content so your audience doesn’t feel like you’re simply recycling. Our attention spans are shorter than they were. To get your pertinent points across, infographics can help you show outcomes visually. Statistics, icons, arrows pointing upwards, are all good indicators to the reader that your efforts have had a positive outcome for the customer. We use Piktochart and Canva as tools to create our infographics, but you can use any design based application, even PowerPoint and the like. All in all this may seem like quite a lot to have to go through for a customer testimonial, but just utilising a few will increase the life of the testimonial and give you plenty of content for your digital channels. If you’re interested in how we can help you with the services we offer, let us know!